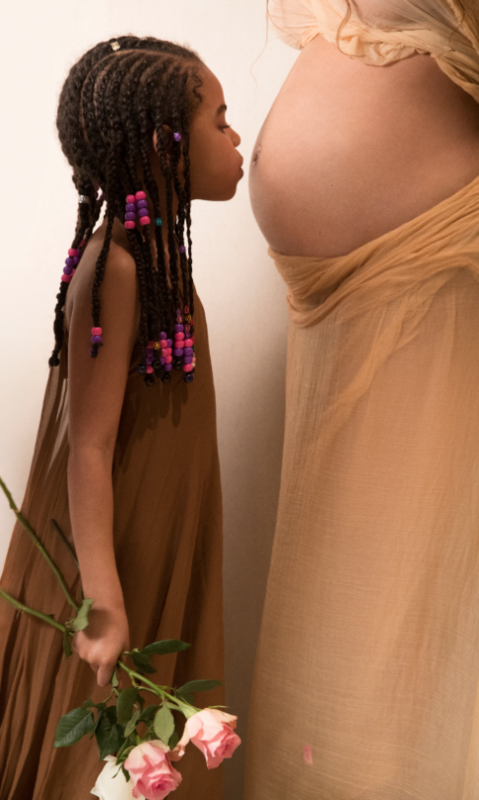 If you saw some of the mean comments about Beyonce’s baby bump reveal yesterday, you’ll be pleased to know that Queen Bey gives zero tosses and has shared even more candid and conceptual shots of her pregnancy overnight! Take that haters! 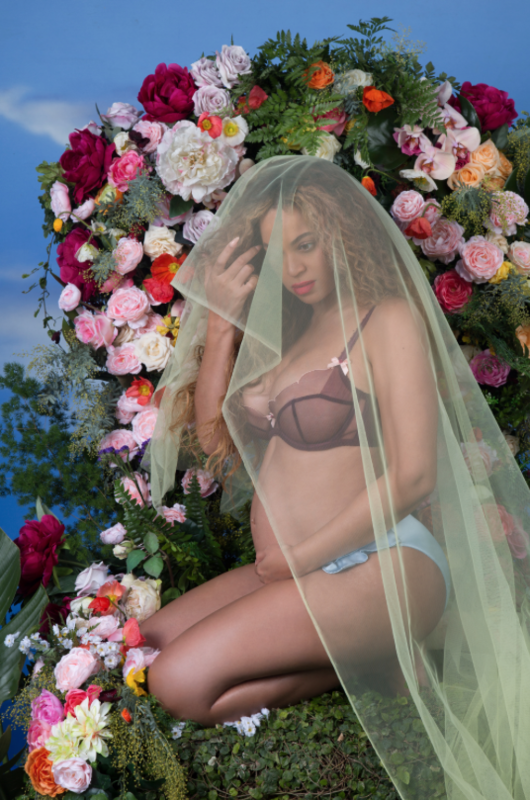 Beyonce appears to be revelling in her blooming, pregnant-with-twins status and she’s not about to let the critics get her down. The mum to 5-year-old Blue Ivy has consistently proven herself to be a caring parent, a dynamic performer and an all ’round creative genius. She’s worked super-hard, carving a determined path to success and happiness alongside her equally tenacious and talented husband Jay-Z. If you’re not on the same page as her, photography-wise, she’s not too fussed. In fact, she’s quite possibly too busy enjoying her pregnancy, preparing for her upcoming Grammy appearance and hanging out with her soon-to-be-much-bigger fam. 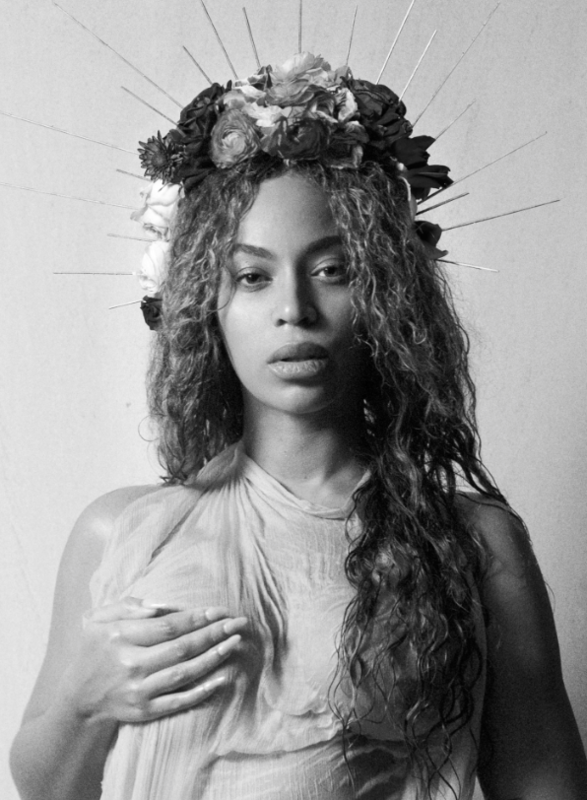 The expectant mum has shared a whole album of photos titled I Have Three Hearts on her Beyonce.com site. The images feature her growing belly and Blue Ivy, as well as lots of pics of her and Jay-Z through the years. There’s even some cute snaps from Beyonce’s childhood, all interspersed with some prose about motherhood and pregnancy. It’s a beautiful and sincere response to an obviously transformative period in this famous mum’s life. We’re so happy that Beyonce is so happy and look forward to seeing more glimpses of life at Chez Carter.